If you felt that RSLs have had more focus on profit than on veterans, you’re right. The ABC has revealed that the RSL federal president, along with three other board members, have been paid together $300k a year for at least three years from their nursing home development offshoot, RSL LifeCare. The NSW board members’ positions at least are prohibited from councillors taking what it calls ‘a position of profit’ within the organisation. To editorially clarify; the receipt of payment by board members is always a no-no. Take for example a city council which is effectively a board. A member of council staff can not be an employee of the council, even e.g. a cleaner; it is taken as a given that a councillor makes budgetary decisions that will affect the cleaner’s income and work conditions and therefore a councillor who is also an employee can’t possibly be impartial. Same goes here, at the RSL; board members were receiving large payments from RSL Life as ‘consultancy fees’, and playing dumb on how that might be illegal, whereas board members are supposed to be installed specifically to use their life knowledge and to advise – consult- on the actions and directions of the organisation, unpaid. Most interestingly is that RSL LifeCare is effectively a developer, and with the amount of community subsidies and pokie money that goes through the RSL businesses and government, any payment of size rings huge alarm bells. The federal president of the RSL, Rod White, has defended receiving tens of thousands of dollars worth of payments from within the organisation. 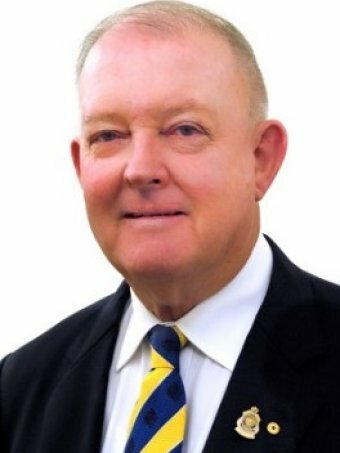 Mr White and three other former and sitting members of the RSL NSW state council received what were described as “consultancy fees” from the board of RSL Lifecare, while they were serving in unpaid positions on the same board. RSL Lifecare is a billion dollar aged and residential care provider, owned and controlled by the RSL’s NSW branch. Questions have been raised about whether the payments breached the RSL’s rules, and the CEO has sought independent legal advice on the matter. The ABC understands the charities regulator has also begun investigating the payments. Mr White is among four current and former members of the RSL NSW state council who received a share of more than $300,000 a year from RSL Lifecare, for at least three years. According to financial statements from 2013, 2014 and 2015, the payments were split between nine board members for their work as “consultants”, and not as directors. Older financial statements have not been made available to the ABC. Mr White, who served as NSW president and treasurer before becoming the RSL federal president, sat on the Lifecare Board and the state council at the same time, both of which are both strictly unpaid. RSL NSW state councillors Bob Crosthwaite and Bill Humphreys still sit on the Lifecare Board and receive the consultancy fees. A fourth councillor, who has since stood down, also sat concurrently on the Lifecare Board and received consultancy fees. Mr Crosthwaite and Mr Humphreys either declined to comment or could not be reached, but when Mr White spoke to the ABC, he would not say how much he was paid in consultancy fees, or for how many years he received the payments. Nor would he detail the services he provided to the board in exchange for the fees. “I would have thought the business I did with [the] organisation was commercial in confidence between myself and that organisation,” he said. The RSL NSW constitution prohibits councillors from taking what it calls “a position of profit” within the organisation. The Constitution also states that Lifecare is controlled by RSL NSW. Lifecare says directors do not receive pay for their services as directors, but that certain directors receive fees for other services. The CEO of RSL NSW, Glenn Kolomeitz, is seeking independent legal advice about whether the payments made to the directors were in breach of the constitution. “They had been receiving payments, that’s confirmed, the issue is the validity under the constitution of the receipt of said payments,” Mr Kolomeitz said. Mr Kolomeitz first received advice from Price Waterhouse Coopers several months ago, suggesting the payments were proper, but this week he has sought separate advice from a new firm. Mr White strongly defended his receipt of the fees. “I believe I have personally fulfilled my obligations legally and ethically and I’m just absolutely surprised at your questioning of my integrity in that regard,” he said. The ABC understands Mr White has in the past threatened legal proceedings against another councillor if he questioned the payments — an allegation he denies. “I don’t threaten anyone … I’m sorry, that’s most unfair,” he said. Mr Kolomeitz said he was not aware of any such threats. The payment of consultancy fees is mentioned in financial statements provided to the charities regulator, the Australian Charities and Not-for-Profits Commission (ACNC), but not in RSL Lifecare’s annual reports. Mr White declined to say whether he disclosed the payments to the RSL NSW state council. “All I can say is that my focus on the appropriate governance and the effective management has been fulfilled,” he said. RSL NSW is awaiting legal advice on whether the payments complied with the constitution. Mr Kolomeitz says the outcome of that advice will determine whether there is a full investigation. He says rank and file RSL members could well be angry if the payments are not found to be constitutional. 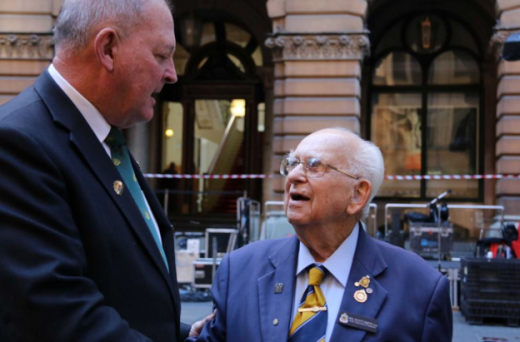 “If there’s money going somewhere where it perhaps shouldn’t be, that money could be better channelled into the provision of services to our younger veterans and their families who are in such desperate need of those services,” he said. The ABC understands the ACNC has begun looking into whether the payments of the consultancy fees breach their own regulations.